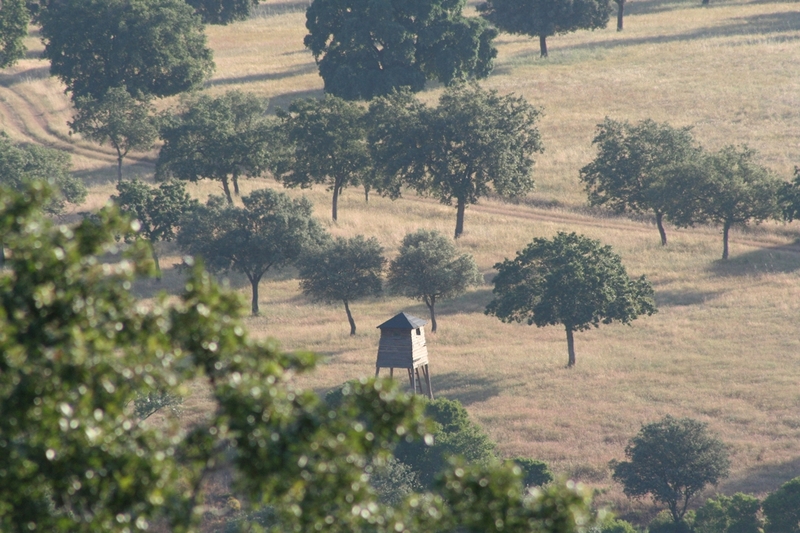 Stalkings and waitings hunts - Big Game Hunting Estate in Spain. "Los Claros"
Stalking and waiting hunts. General Conditions. Since its foundation, in 1971 the hunting estate has been managed to provide good trophies of pure Iberian red deer and since early 80’s also Iberian mouflon. For that reason stalkings and waitings are the main hunting methods used at “Los Claros”. This makes more easy a good selection of the animals to hunt. Its soft orography and low dense vegetation could let you think that it is going to be an easy hunt. But the large number of animals, with sharp eyes and ears, makes really difficult the approach to that specific trophy you want. In addition, the large number of good trophies makes it even more difficult to choose the desired trophy. On the other hand, hunt a non specified animal is really easy. The estate has several strategically distributed observation towers and huts that will allow you to enjoy splendid waitings to complement the stalking sessions. You will be able to enjoy stalking outings from the 1st of September until the last day of the hunting season, around February the 20th. 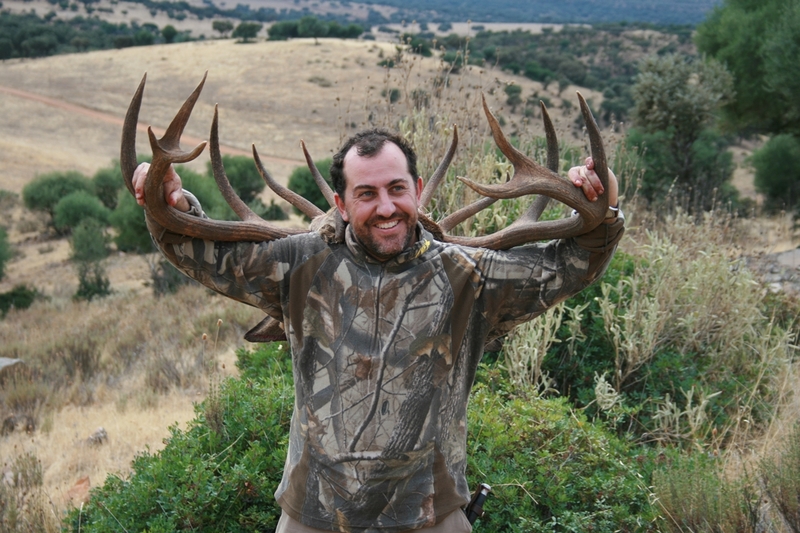 The rut season is especially impressive in “Los Claros”, during this period you will be able to find the best stag and there is a high probability of finding a good trophy in a couple of days, although we always depend on weather. In 1991 the Absolute National Record of Mouflon was hunted at “Los Claros”, it scored 230,10 CIC points. But in 2013 we started measuring Iberian Mouflons by SCI method and, since then, we are hunting the best ones. Please have a look to the SCI Record Book, you'll get surprised!! If you are interested in hunting deer or mouflon here, don’t hesitate to contact with us for further information. Also, if you wish, there is the option of going for wild boar, Andalusian roe deer and Madrona Spanish Ibex. During the stalkings, hunter and companions can stay at “El Cortijo” (estate house) in a double bedroom with bathroom included. Food-wise, we can prepare any menu if notified early enough. For prices of hunts please write us.